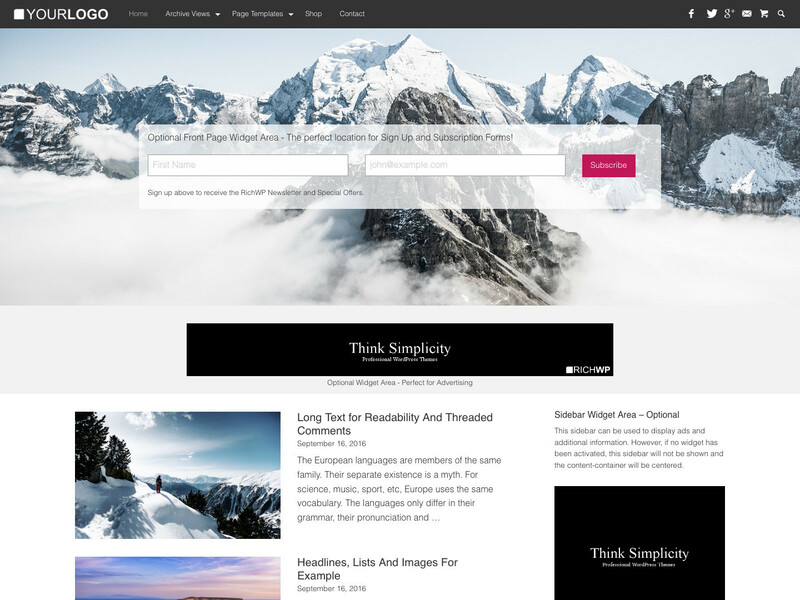 A beautiful portfolio and visual blogging WordPress theme with a minimalist nordic style. Recieve the orderliness of thought or behavior (method) to take your site to a professional level. 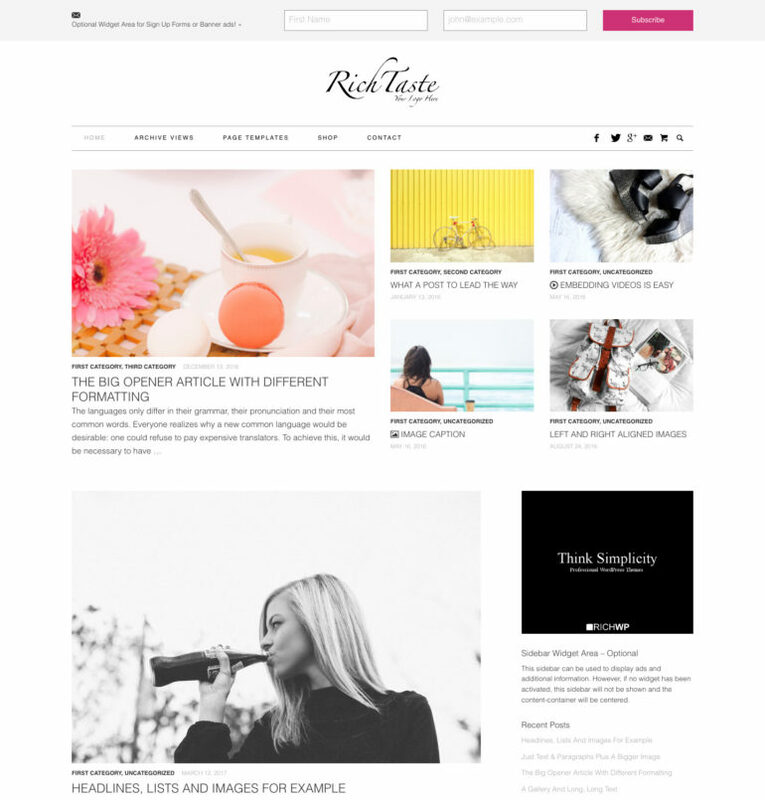 A lean, Fast & Responsive WordPress Blogging Theme with a drop dead gorgeous minimalist, mobile first and sidebarless Design. 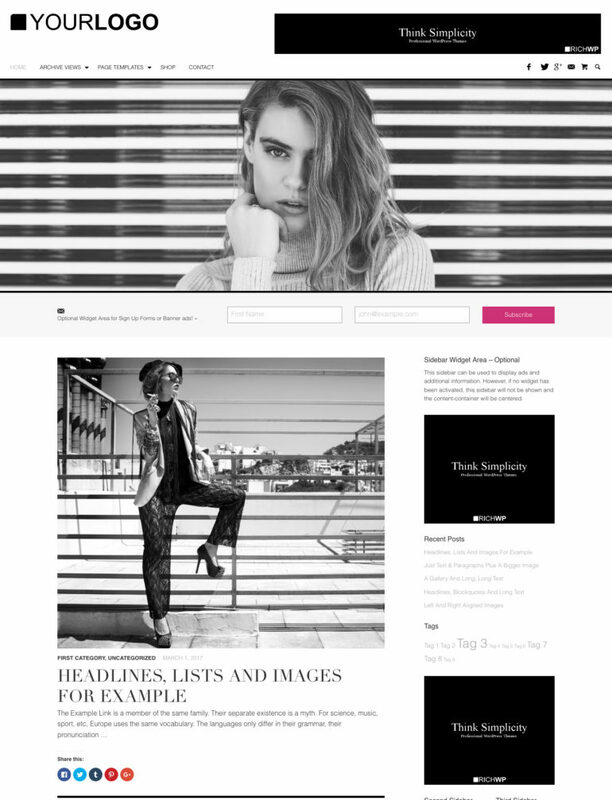 A straight out blogging theme so sublime, your publishing success comes next in line. 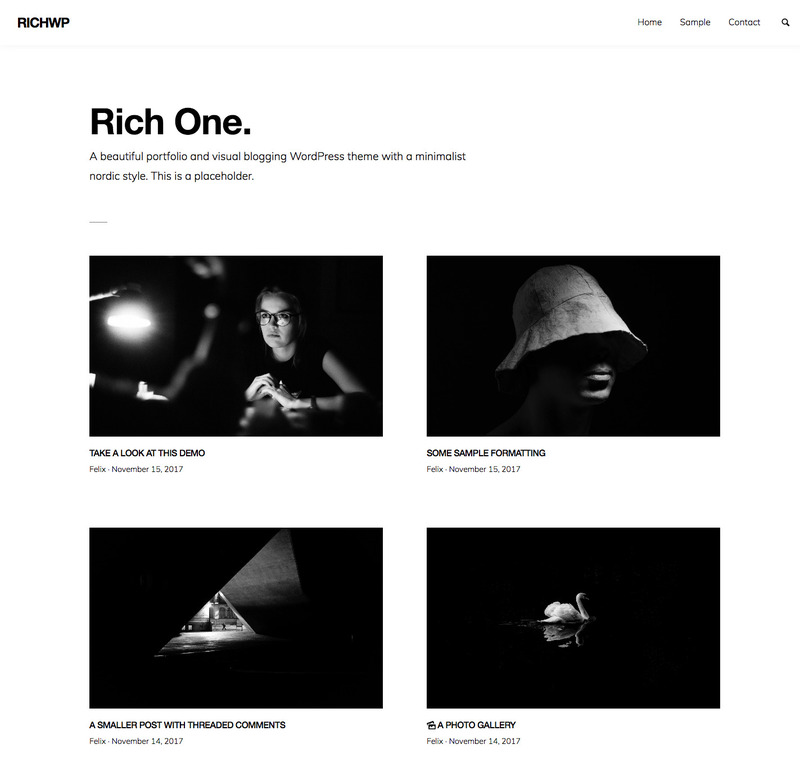 The Rich Master theme is perfect for professional blogs, regardless of whether you are writing about your personal overseas travel adventures, self-development, parenting, home renovation, or any other creative niche that comes to mind. 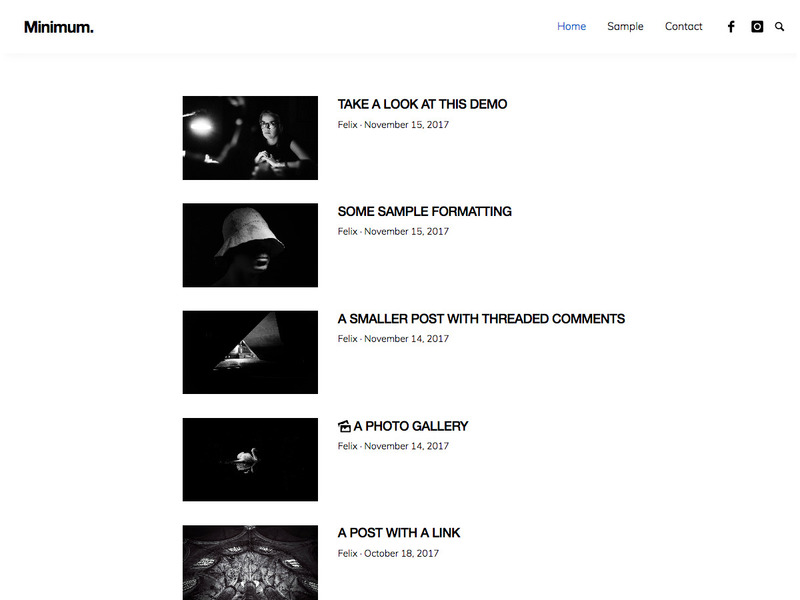 This theme will take your site to a professional level while being easy to set up and work with on a daily basis. A Free WordPress Masonry Grid Theme to rocket your publishing empires success. Get things done, publish your content and present it to your visitors. Increase your sales, you know that the first impression counts. 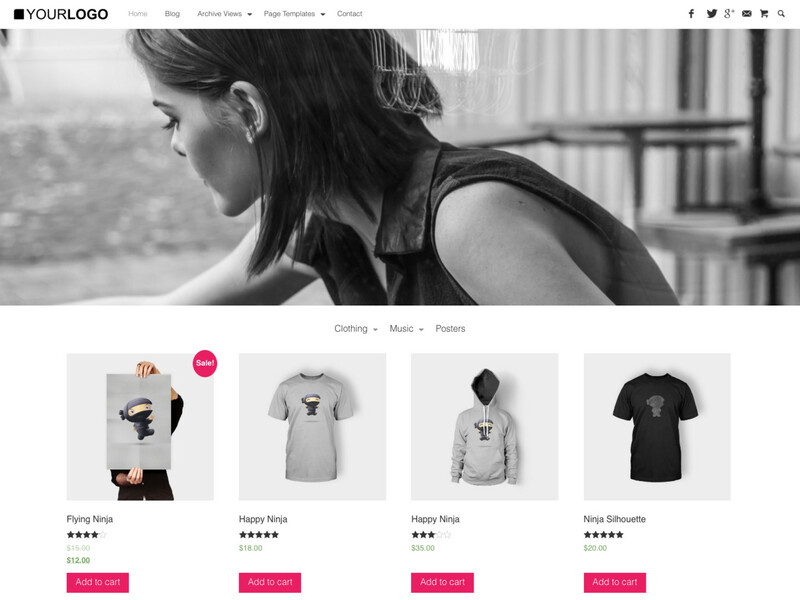 The RichWP Pop Up Shop Theme is a professionally WooCommerce compatible theme based on the high performing, fast & lean Foundation 6 code base. This is what your customers want, this is what you want and it is what the Search Engine Robots love. If you want to remove the credit link or need professional theme support, please purchase a license.